Posted: Friday, July 14, 2017. 9:42 am CST. 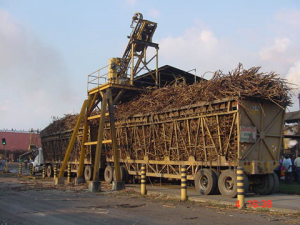 By BBN Staff: The American Sugar Refineries (ASR) Group, owners of Belize Sugar Industries (BSI), is planning on using increased productivity to combat the low world price of sugar and Belize’s loss of preferential European markets later this year. Vice President of International Relations for the ASR Group, Mac McLachlan, explained that Belize already has an advantage above many sugar producers in the region because the country produces direct consumption sugar (DCS), which can be sold directly into the market without any further refining. “At the moment BSI produces around 30,000 tons of DCS we would like to push that up to 50,000 tons and have looked at how much that would cost, what the investment would be,” McLachlan said. He added that the investment would be $22 million, which the company’s board has signed off on, provided that there is a guarantee that there won’t be any interruptions in cane supply. Production data provided by BSI shows that Belize has among the lowest sugarcane yield per acre in the world. The data shows that Belize produces 17 tons of cane per acre, while other countries such as Mexico produces closer to 30 tons. Guatemala, which has the largest production in the region, produces some 41 tons per acre. The company has said on numerous occasions, that productivity increase is paramount to the survival of the industry, especially with experts estimating that the end of preferential market access could decrease sugar earnings by as much as 35 percent, representing losses in excess of $10 million. McLachlan said that the global price of raw sugar at the end of last year was some where around US$24 dollars a pound; however the current price is around US$13. He went on to say that the price was an indication of what has happened in the market place. “Combined with the EU (losing preferential market access) means that the next few years I believe we will be looking at a significantly lower price for sugar and that obviously has a direct correlation with the price that will be attractive for cane,” McLachlan said.